I hope you are familiar what compressor transfer function is. You have straight line at the beginning then the compressor starts its job and the more the ratio is the more the line slopes. Usually such functions are in dB scale (on both axis). 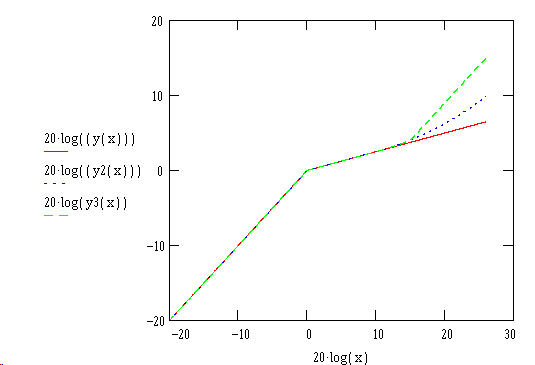 To make things more interesting let’s examine the function in linear scale. In this linear case the digital signal sample values are between 0 and 1. 0.5 is about –6 dB and 1 is 0 dBFS. Nova has internal compressor threshold fixed to 0 dB and by Threshold knob you boost the input signal actually (it goes above 0 dBFS in this case but we use floating point so it’s doesn’t matter). Pic.2. Gain reduction curve for Pic. 1. Blue line shows 12 dB of gain reduction. Besides the threshold point on the transfer curve Nova has 2 additional “breaking” points. First point blends the compression transfer function into the straight line. Pic. 3. 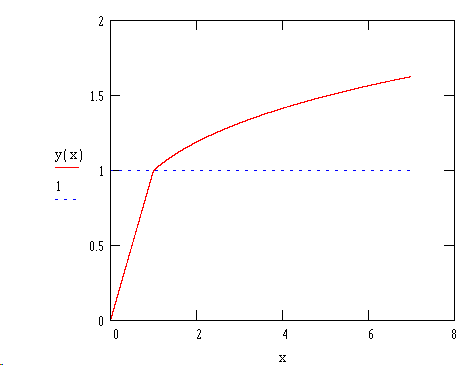 First point blends the compression transfer function into the straight line. Green line is TDR Nova transfer function. Blue line is the blending point (2.5 dB in this example). But how the gain reduction curve looks in this case? Pic. 4. Gain reduction curve for Pic. 3. Blue line shows the starting point when the gain reduction starts to reduce its action (-7.5 dB in this example). 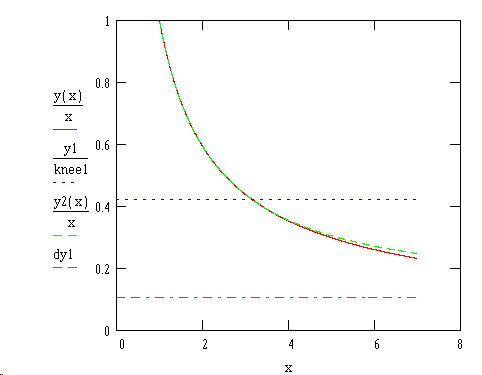 Purple curve shows maximum possible gain reduction for green line (-19.5 dB in this example). In TDR Nova we shifted the usage focus to mastering duties and we tried to get rid of the overcompression effect (and overexpansion too though we removed expansion from freeware version). In mixing duties overcompression often used for creative effects but in mastering it doesn’t sound good. 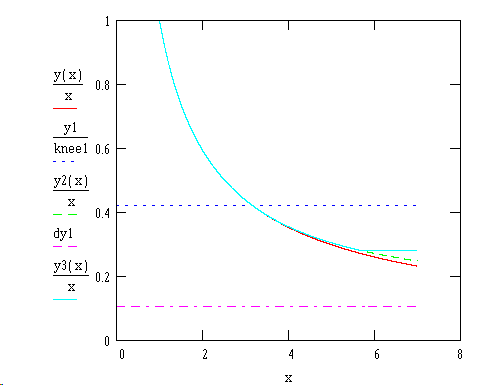 The second breaking point hard limits the gain reduction. Pic. 5. 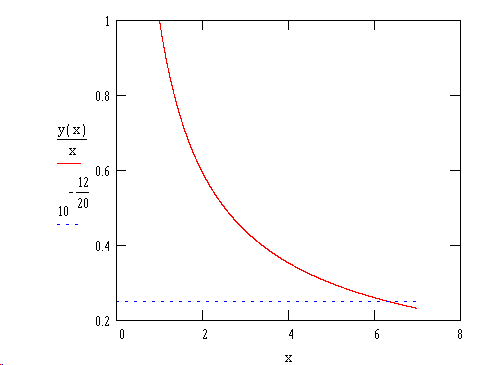 Gain reduction curve hard limited to –11 dB. How the compressor transfer function looks in this case? Pic. 6. 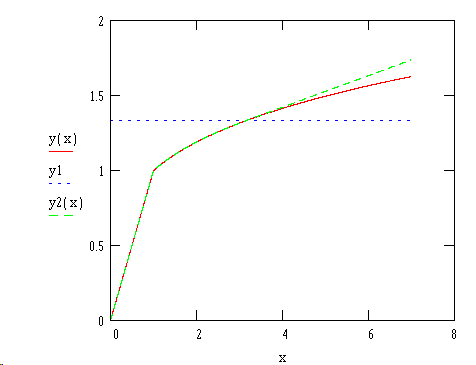 The compressor transfer function with 2 breaking points (green line). Doesn’t this curve look familiar? Well, let’s move to dB scale now. Pic. 7. 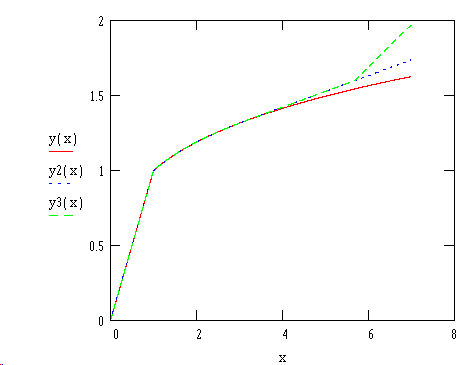 The compressor transfer function with 2 breaking points (green line) in dB scale. Wait, oh sh~! It’s S-shape curve! Do you recognize it? Think about opto-compressors and their distinctive sound. Or better think about transients. With S-curve if you set the threshold low enough you may pass transients unchanged but affect the “body” of the signal instead (and leave the transients to limiter/clipper on the next stage). Is the last curve is TDR Nova? No. TDR Nova uses nice soft knees to glue all these parts of the curve. But use your imagination to get the picture here. In TDR Nova the second breaking point (hard gain reduction limit) is fixed to –12 dB (the knee is started from –6 dB). The first breaking point depends on ratio used. Ratios starting from 1.9 and above have maximum gain reduction of 12 dB. What the profit from all this stuff? Usually if you set small ratios you are not going to compress too much. That’s what this stuff is about. With low ratios you’re just not able to compress too much! Original Nova 67P used different shapes. It has something like “limiter above compressor” curve. It means for high signal levels you actually have infinite ratio instead of ratio selected. That’s why the original Nova 67P has more gain reduction with the similar settings. Hi vladg! Is the “Maximum gain reduction as definded by ratio” also implemented in Kotelnikov/Kotelnikov GE, or is it just a feature of Nova? Thank you for all this insight on the processors. No, Kotelnikov uses classical ideal mathematical curves for compressors. Usually I find such sound too sterile and boring but the aim was to achieve maximum transparency. Maximum transparency was indeed achieved in Kotelnikov, as everybody knows. That particular feature, “maximum gain reduction”, does sound like an apropriate feature for a mastering compressor though. Even though the compressor in NOVA it’s more made for mastering purposes, the soft-knee (therefore it’s smooth sound) can used like an Opto in certain ways, like for lead vocals, it really sounds awesome in lead vocals but way better because the user has more control and the REALLY LONG RELEASE behavior isn’t there.